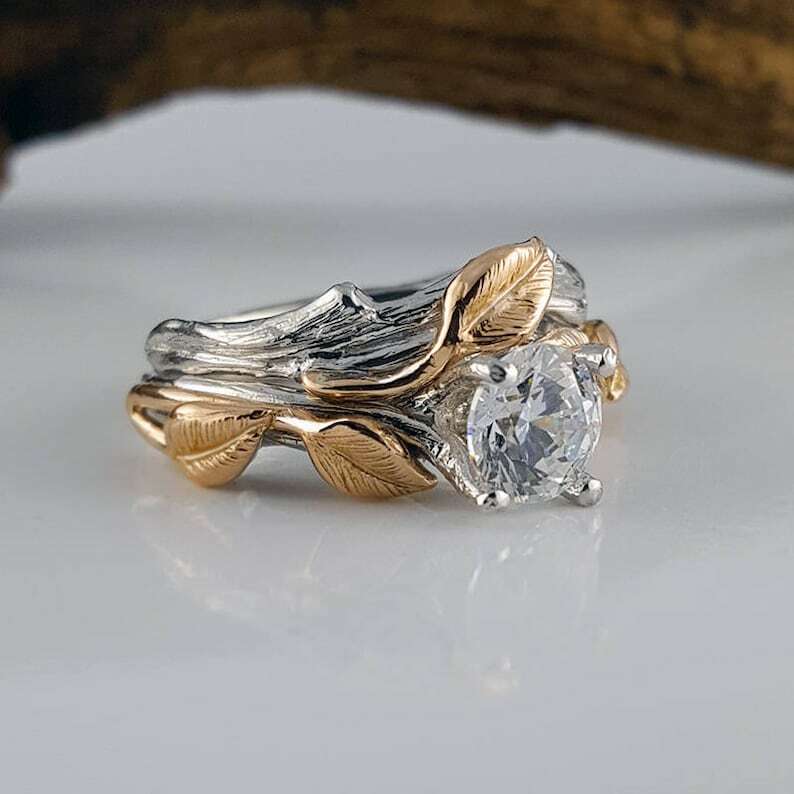 1 CT Two Tone Gold Moissanite Engagement ring set All hand sculpted using the lost wax method. The Moissanite Diamond wedding ring is cast in recycled, certified "Conflict-Free" Gold. The Moissanite Diamond is a Round Forever One™ Moissanite Diamond by Charles & Colvard. By using the Moissanite Diamonds in our rings, this ensures you that this ring is sustainable and conflict-free ring. The rings also come with a certificate for the moissanite stone from Charles & Colvard. This listing is for two rings, Moissanite leaf and twig solitaire with a matching twig band with a single leaf as shown. These rings are shown in two tone gold. 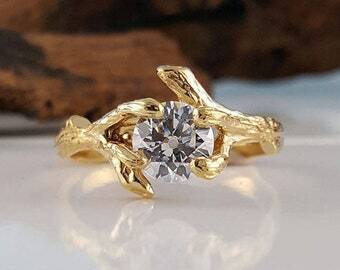 Charles & Colvard is the original creator of moissanite. The process is lengthy, complicated and expensive, which limits the output—it takes two to three months for the creation of a single gem. Charles & Colvard’s manufacturing process and years of expertise in creating the gemstone.